June marks the end of the school year for most students in kindergarten through 12th grade and the beginning of summer break. Unfortunately, summer break often means children aren’t receiving important nutrition assistance normally found in free and reduced price school meals, and many children don’t have the same summer opportunities for enrichment as their peers. 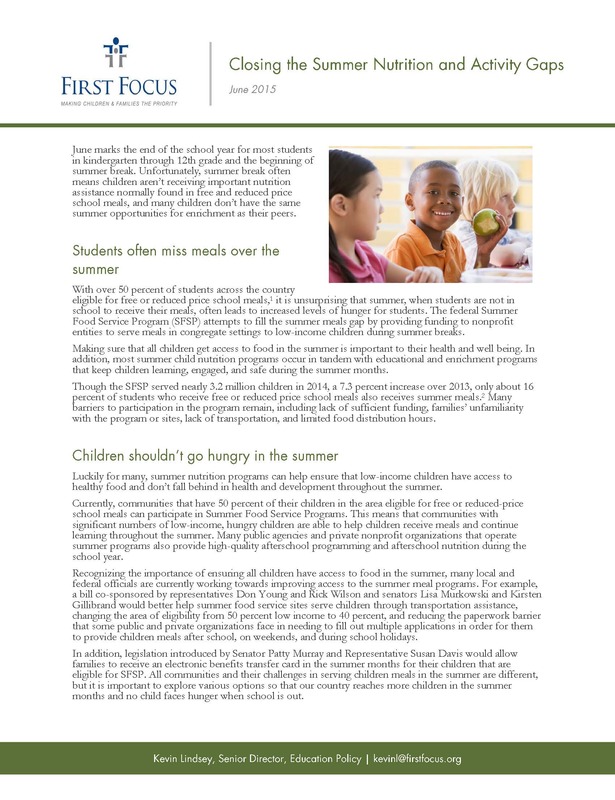 This fact sheet details how Congress can close the summer nutrition and activity gaps.